Say farewell to the same bulletin boards that you’ve put up every October for the last how ever many years, and say Hello! to some new ideas. The bulletin boards below are perfect for adapting to ESL/ELL, preschool, and even middle school classrooms. Take advantage of this fun fall month and make your bulletin boards come alive! Students know what fall is like where they live, but what is it like in another part of the country? Create an interactive bulletin board that encourages students to imagine what it is like to live in other areas of the United States, while also getting in some of those geography lessons! Cover the board in plain fabric or paper and place a map of the United States in the center. Use ribbon or yarn tied around a pushpin to connect a specific state or region to an activity off of the map. 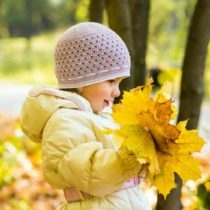 For example, in the Northeast, there could be a choice of three activities: write about how it feels to play in a pile of leaves, create a flow chart explaining how to rake leaves, write an acrostic poem using fall in the Northeast as inspiration. Each region of the country could have a similar set of activities that are specific to what fall is like in that area. Setting goals is essential for achieving success. If you want your students to become good readers this year, have them set goals for how many books they will read during the school year. Decorate the bulletin board with the words, “We Are Falling for Reading!” Around the title, hang leaf cut-outs that students have labeled with their names and their reading goals. This is a perfect bulletin board to have on display during parent/teacher conferences! Finding fun ways to make characters come alive and stick in a child’s mind can be tricky. This year, have students imagine what their favorite character would dress up as for Halloween. Use a Halloween border around the white paper covered bulletin board and have students decorate people cut-outs to represent their favorite character in costume. Have a small box of scrap fabrics, lace trim, googly eyes, and more on the table below the bulletin board and turn it into a station. Not only do they have to tell what their character is decorated as, but they also have to give a good, story-based reason as to why they think the character would dress like that for Halloween. Not only will students have fun with the board, but it will be a great way to sneak in some of the art that many teachers are now tasked with teaching in the regular classroom. What are some of your favorite October bulletin boards? Share with us below or on the Really Good Teachers forums! I love Fall! The Fall into Reading idea is great. The leaves can even be hung from the ceiling! We have been tasked with creating interactive word walls this year. Any ideas for that? Thanks! The interactive bulletin board is a great idea! Our class participates in a program called Trucker Buddy and I’m going to work on incorporating some of these ideas into our study. Love the Fall for Reading. I am going to do this on our classroom door! What a great way to incorporate interactivity with a map bulletin board! I am going to work on activities geared toward 2nd graders. I LOVE the interactive bulletin board featuring the regions of the United States. As a 5th and 6th grade Social Studies teacher I can see this being used for each of the seasons and in a variety of ways. Thanks!